Zawan Hamed Al-Sabti works for the Information Technology Authority. She started her career as a marketing & training specialist. Working for ITA, Zawan was a member in the first editorial team which started Digital Oman magazine and worked on its content for 5 issues. In 2006, she managed e-Oman Marketing & Awareness campaign, where she started one of the most important road shows on e-government awareness in Oman. 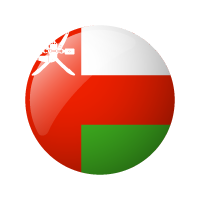 In the period from 2004 to 2005, Zawan was a key member in Oman WSIS preparatory Task force & represented Oman in the regional international WSIS conferences and meetings. Zawan has worked on several national projects - initiating, planning, executing and monitoring them. The most important two of them were ‘Digital Literacy Certification for Civil Servants’ and the ‘National PC initiative’. Zawan now is entering a new career path in quality assurance & operational excellence under the ITA CEO office.